Physician's income is up this year. 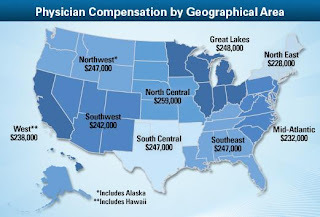 Physicians in North Central U.S average salary is $259,000 and that's 14% more than their counterparts in the Northeast! At the bottom of the spectrum is HIV/ID with a average salary of $170,00 and Pediatrics average salary of $173,000 in 2012. So why is Orthopedics at the top of the list? As the population ages, more knees and hips are giving out and need to be fixed. Men earn more than women? This involves choice of specialties. 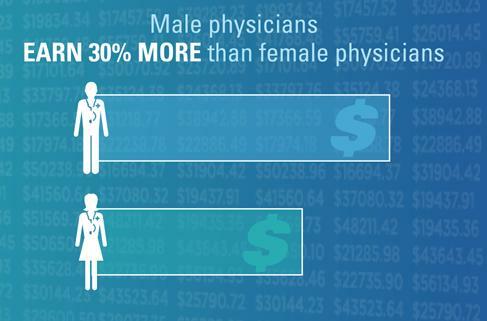 There are fewer women in some of the higher-paying specialties. 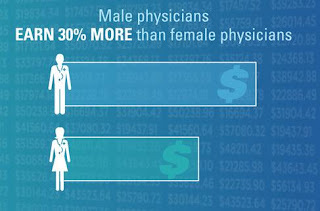 In Orthopedics, only about 9% are women, while 53% of Pediatric specialist are women. Will your Physician stop taking Medicare? With the changes that will take place in Medicare reimbursement and the cuts to Medicare, many doctors are making some tough decisions about their Medicare patients. Only a minority of physicians plan to take the major step of no longer accepting or reducing their number of Medicare patients. Among internists, 11% will stop taking Medicare/Medicaid patients, and 15% of family physicians will make that same decision.